Spike your summertime lemonade with a little pineapple juice and vodka, and you’ll have a party punch guaranteed to steal the shindig. 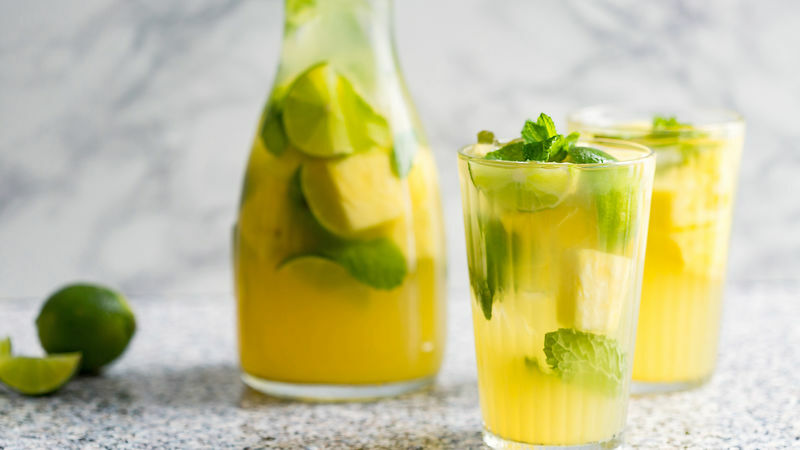 Perfect for big punch bowls, pretty enough to serve in a party pitcher, this stunning sipper is the perfect combo of bright lemonade, sweet pineapple and the boozy bite of vodka. Pair with any of your grilled food favorites, or serve at brunch as a cool tropical alternative to mimosas. Feel free to add more pineapple juice to suit your tastes, or add in pineapple-orange juice for an extra kick of citrus. Simple to make, and so good, this sweet lemonade upgrade just screams summer. If you’re feeling so inspired, individual glasses would look divine topped with a pineapple frond or drink umbrella. But however you garnish it, don’t forget the straw!